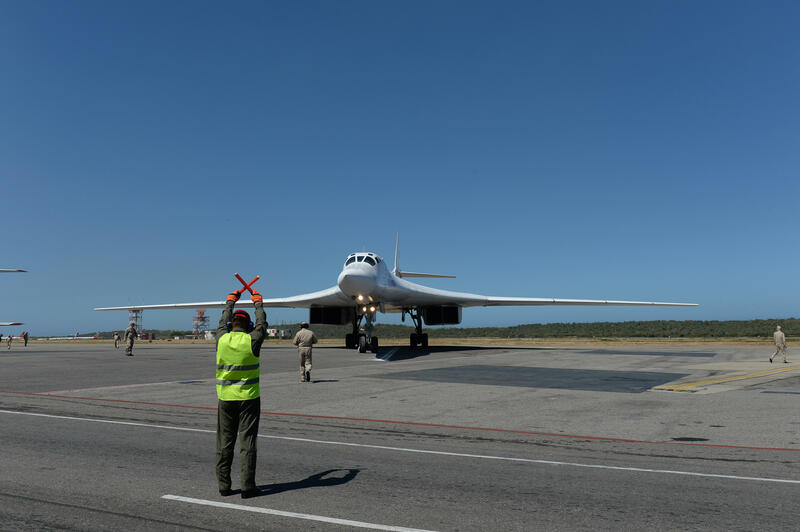 Russia sends bombers to Venezuela, calls U.S. reaction "undiplomatic"
MOSCOW -- The Kremlin has rejected U.S. criticism of Russian strategic bombers' deployment to Venezuela. U.S. Secretary of State Mike Pompeo responded to Monday's arrival of a pair of Tu-160 nuclear-capable bombers in Venezuela by tweeting that "the Russian and Venezuelan people should see this for what it is: two corrupt governments squandering public funds, and squelching liberty and freedom while their people suffer." Russian President Vladimir Putin's spokesman, Dmitry Peskov, dismissed Pompeo's comment as "undiplomatic" and "inappropriate." He told reporters Tuesday that such criticism sounds odd from a country "half of whose military budget would be enough to feed the whole of Africa." Likewise, U.S.-Venezuela relations, which have long been strained, have been pushed to new lows under the leaderships of President Donald Trump and Venezuela's hard-line President Nicolas Maduro. The bombers' arrival in Venezuela came on the heels of a meeting between Maduro and Putin in Russia. Russia, which has come to the aid of Maduro's cash-strapped government with cash infusions, has flown strategic bombers to Venezuela previously in a show of force during diplomatic flare-ups with the U.S.
Maduro welcomes the visiting planes and often touts his partnership with Russia as evidence of how Venezuela could defend itself with help from friends in the face of any hypothetical U.S. military aggression. As Venezuela's ongoing political crisis spiralled into mass violence on the streets in the summer of 2017, President Trump said he was considering "many options" as a response. "I am not going to rule out a military option," Mr. Trump said at the time. "We have many options."